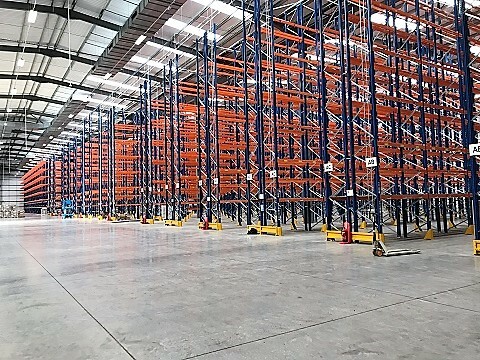 Warehouse Storage Solutions are one of the UK’s leading specialist providers of specialist pallet racking solutions to a wide range of customers across the Worcester and Droitwich area. The question of whether to build or relocate is something that many businesses face at some point in their options are very costly and almost always cause enormous disruption to the normal day to day activities of the business. Maybe you should consider looking to improve your existing footprint rather than build or re locate? One of our innovative pallet racking solutions gives you the added benefit of saving money and at reducing disruption to the day to day activities. At Warehouse Storage Solutions we supply both the public and private sector from small independent businesses through to major global corporations. With an extensive network of sales engineers we are easily able to cover the Telford & Market Drayton area. This which enables us to be very responsive to customer enquiries & requests for quotations. Worcester & Droitwich are strategically in the heart of the UK close to the, M5, M50 and the M42 motorways in the Midlands in the county of Worcestershire. The M5 is a crucial link between the Midlands, North and Wales & The South West and many freight and distribution companies are located there.